Binh To, D.C., is a chiropractor located in San Jose, CA. Take the next step and contact Dr. Binh To, D.C., for a consultation in San Jose, CA or to get more information. Gus Sofos, D.C., is a chiropractor located in San Jose, CA. Techniques: • Diversified Take the next step and contact Dr. Gus Sofos, D.C., for a consultation in San Jose, CA or to get more information. Michael P Johnson, D.C., is a chiropractor located in San Jose, CA. Techniques: • Gonstead • Diversified • Sacro Occipital Technique • Applied Kinesiology Take the next step and contact Dr. Michael P Johnson, D.C., for a consultation in San Jose, CA or to get more information. Donald G Ajlouni, D.C., is a chiropractor located in San Jose, CA. Techniques: • Diversified • Manual Adjusting • Trigger Point Therapy • Traction Take the next step and contact Dr. Donald G Ajlouni, D.C., for a consultation in San Jose, CA or to get more information. Luis Arrondo C.A.B.N.N., D.C., is a chiropractor located in San Jose, CA. Take the next step and contact Dr. Luis Arrondo C.A.B.N.N., D.C., for a consultation in San Jose, CA or to get more information. Linda Filice, D.C., is a chiropractor located in San Jose, CA. Take the next step and contact Dr. Linda Filice, D.C., for a consultation in San Jose, CA or to get more information. Binh Huu Do, D.C., is a chiropractor located in San Jose, CA. Techniques: • Activator Methods • Diversified • Trigger Point Therapy • Motion Analysis (Palpation) • Traction Take the next step and contact Dr. Binh Huu Do, D.C., for a consultation in San Jose, CA or to get more information. Jeffrey B Levine, D.C., is a chiropractor located in San Jose, CA. Techniques: • Diversified • Bio-Energetic Synchronization Technique • Leander • Palmer Package • Activator Methods • Flexion-Distraction Take the next step and contact Dr. Jeffrey B Levine, D.C., for a consultation in San Jose, CA or to get more information. Mark E Venes, D.C., is a chiropractor located in San Jose, CA. Take the next step and contact Dr. Mark E Venes, D.C., for a consultation in San Jose, CA or to get more information. Arman Daryaie, D.C., is a chiropractor located in San Jose, CA. Take the next step and contact Dr. Arman Daryaie, D.C., for a consultation in San Jose, CA or to get more information. Philip Chao, D.C., is a chiropractor located in San Jose, CA. Take the next step and contact Dr. Philip Chao, D.C., for a consultation in San Jose, CA or to get more information. Danny Quan, D.C., is a chiropractor located in San Jose, CA. Take the next step and contact Dr. Danny Quan, D.C., for a consultation in San Jose, CA or to get more information. Daniel S Tomlinson, D.C., is a chiropractor located in San Jose, CA. Techniques: • Diversified • Gonstead • Activator Methods • Applied Kinesiology • Thompson • Palmer Package Take the next step and contact Dr. Daniel S Tomlinson, D.C., for a consultation in San Jose, CA or to get more information. Debby Sieben, D.C., is a chiropractor located in San Jose, CA. Take the next step and contact Dr. Debby Sieben, D.C., for a consultation in San Jose, CA or to get more information. Kelly Quach, D.C., is a chiropractor located in San Jose, CA. Take the next step and contact Dr. Kelly Quach, D.C., for a consultation in San Jose, CA or to get more information. John Martin, D.C., is a chiropractor located in San Jose, CA. Take the next step and contact Dr. John Martin, D.C., for a consultation in San Jose, CA or to get more information. Dennis J Moore, D.C., is a chiropractor located in San Jose, CA. Techniques: • Activator Methods • Cox • Diversified • Manual Adjusting • Thompson • Trigger Point Therapy • Deep Tissue Massage Take the next step and contact Dr. Dennis J Moore, D.C., for a consultation in San Jose, CA or to get more information. Manfred Alkhas, D.C., is a chiropractor located in San Jose, CA. Take the next step and contact Dr. Manfred Alkhas, D.C., for a consultation in San Jose, CA or to get more information. Donald G Ajlouni, D.C., is a chiropractor located in San Jose, CA. Techniques: • Diversified • Flexion-Distraction • Manual Adjusting • Myofascial • Trigger Point Therapy Take the next step and contact Dr. Donald G Ajlouni, D.C., for a consultation in San Jose, CA or to get more information. Akbar Poorshafiee, D.C., is a chiropractor located in San Jose, CA. Take the next step and contact Dr. Akbar Poorshafiee, D.C., for a consultation in San Jose, CA or to get more information. Chris Shin, D.C., is a chiropractor located in San Jose, CA. Take the next step and contact Dr. Chris Shin, D.C., for a consultation in San Jose, CA or to get more information. 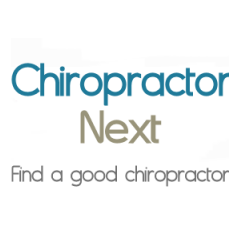 Chang Chris Nguyen, D.C., is a chiropractor located in San Jose, CA. Take the next step and contact Dr. Chang Chris Nguyen, D.C., for a consultation in San Jose, CA or to get more information. Pamela Daniels, D.C., is a chiropractor located in San Jose, CA. Take the next step and contact Dr. Pamela Daniels, D.C., for a consultation in San Jose, CA or to get more information. Michelle Delbene, D.C., is a chiropractor located in San Jose, CA. Take the next step and contact Dr. Michelle Delbene, D.C., for a consultation in San Jose, CA or to get more information. Stefan Salim, D.C., is a chiropractor located in San Jose, CA. Take the next step and contact Dr. Stefan Salim, D.C., for a consultation in San Jose, CA or to get more information. Paul R McKenna, D.C., is a chiropractor located in San Jose, CA. Techniques: • Applied Kinesiology • Neuro Emotional Technique • Sacro Occipital Technique • Diversified Take the next step and contact Dr. Paul R McKenna, D.C., for a consultation in San Jose, CA or to get more information. Scott Svendsed, D.C., is a chiropractor located in San Jose, CA. Take the next step and contact Dr. Scott Svendsed, D.C., for a consultation in San Jose, CA or to get more information. Hideyuki Ban, D.C., is a chiropractor located in San Jose, CA. Take the next step and contact Dr. Hideyuki Ban, D.C., for a consultation in San Jose, CA or to get more information. Ross A Ali, D.C., is a chiropractor located in San Jose, CA. Techniques: • Diversified • Gonstead • Activator Methods • Thompson • Ultrasound • Soft Tissue Manipulation Take the next step and contact Dr. Ross A Ali, D.C., for a consultation in San Jose, CA or to get more information. Kevin M. Imai, D.C., is a chiropractor located in San Jose, CA. Techniques: • Diversified • Palmer Package • Sacro Occipital Technique • Thompson • Trigger Point Therapy Take the next step and contact Dr. Kevin M. Imai, D.C., for a consultation in San Jose, CA or to get more information. Robert Cooperstein, D.C., is a chiropractor located in San Jose, CA. Take the next step and contact Dr. Robert Cooperstein, D.C., for a consultation in San Jose, CA or to get more information. Howard Beverleigh, D.C., is a chiropractor located in San Jose, CA. Techniques: • Thompson • Applied Kinesiology Take the next step and contact Dr. Howard Beverleigh, D.C., for a consultation in San Jose, CA or to get more information. Rick J. Romero, D.C., is a chiropractor located in San Jose, CA. Techniques: • Diversified • Gonstead • Spinal Biomechanics • Trigger Point Therapy • Active Release Technique Take the next step and contact Dr. Rick J. Romero, D.C., for a consultation in San Jose, CA or to get more information. Mark A Eastland, D.C., is a chiropractor located in San Jose, CA. Take the next step and contact Dr. Mark A Eastland, D.C., for a consultation in San Jose, CA or to get more information. Duan Ngo, D.C., is a chiropractor located in San Jose, CA. Take the next step and contact Dr. Duan Ngo, D.C., for a consultation in San Jose, CA or to get more information. Bob Nguyen, D.C., is a chiropractor located in San Jose, CA. Take the next step and contact Dr. Bob Nguyen, D.C., for a consultation in San Jose, CA or to get more information. Grace Lau, D.C., is a chiropractor located in San Jose, CA. Techniques: • Diversified • Activator Methods Take the next step and contact Dr. Grace Lau, D.C., for a consultation in San Jose, CA or to get more information. Ronald M Benson, D.C., is a chiropractor located in San Jose, CA. Techniques: • Spinal Biomechanics Take the next step and contact Dr. Ronald M Benson, D.C., for a consultation in San Jose, CA or to get more information. Takeshi Okai, D.C., is a chiropractor located in San Jose, CA. Take the next step and contact Dr. Takeshi Okai, D.C., for a consultation in San Jose, CA or to get more information. Terence L Wade, D.C., is a chiropractor located in San Jose, CA. Techniques: • Neural Organization Technique • Applied Kinesiology • Activator Methods • Diversified • Gonstead Take the next step and contact Dr. Terence L Wade, D.C., for a consultation in San Jose, CA or to get more information. Jose Reynoso, D.C., is a chiropractor located in San Jose, CA. Techniques: • Chiropractic Biophysics • Activator Methods • Gonstead • Diversified Take the next step and contact Dr. Jose Reynoso, D.C., for a consultation in San Jose, CA or to get more information. David W. Basista, D.C., is a chiropractor located in San Jose, CA. Techniques: • Diversified • Activator Methods • Toggle Recoil • Applied Spinal Biomechanics Engineering • NeuroEmotionalTechnique Take the next step and contact Dr. David W. Basista, D.C., for a consultation in San Jose, CA or to get more information. George Petros, D.C., is a chiropractor located in San Jose, CA. Techniques: • Diversified • Activator Methods • Cox • CranioSacral Therapy • Manual Adjusting • Flexion-Distraction • Gonstead • Thompson Take the next step and contact Dr. George Petros, D.C., for a consultation in San Jose, CA or to get more information. Michael Baglin, D.C., is a chiropractor located in San Jose, CA. Take the next step and contact Dr. Michael Baglin, D.C., for a consultation in San Jose, CA or to get more information. Helen Nomg, D.C., is a chiropractor located in San Jose, CA. Take the next step and contact Dr. Helen Nomg, D.C., for a consultation in San Jose, CA or to get more information. Gary M Beytin, D.C., is a chiropractor located in San Jose, CA. Techniques: • Activator Methods • Diversified • Thompson Take the next step and contact Dr. Gary M Beytin, D.C., for a consultation in San Jose, CA or to get more information.